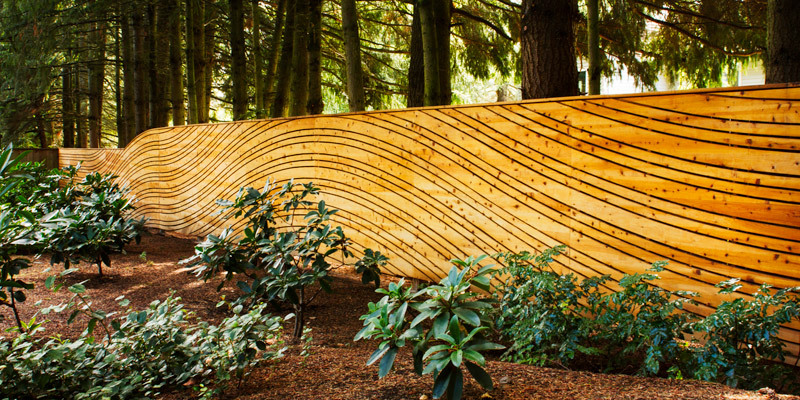 The wave fence is a new take on a very old design. 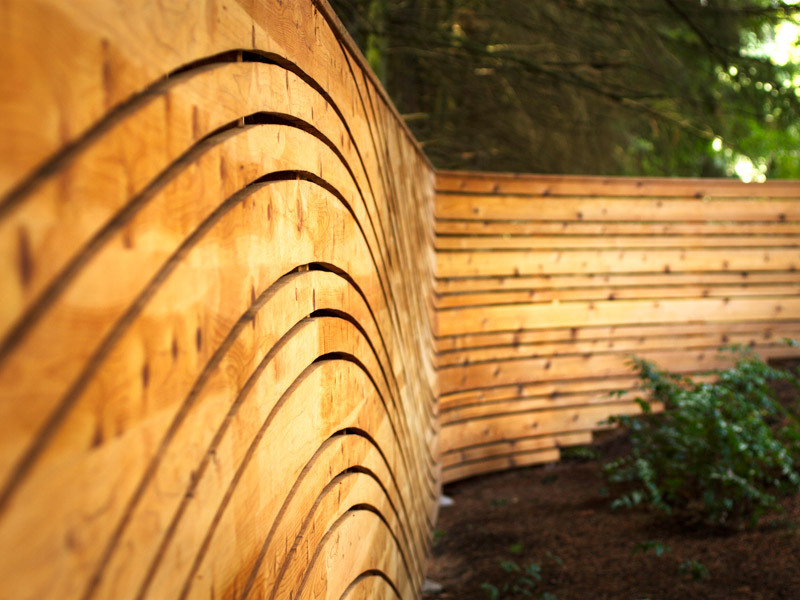 Constructed in a conventional manner, the wave fence is anything but. 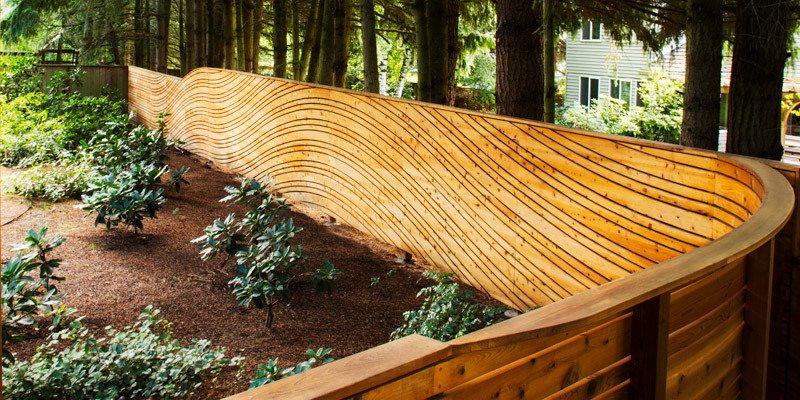 The undulating design is a pattern that repeats every 24 feet and spans over 80 feet. 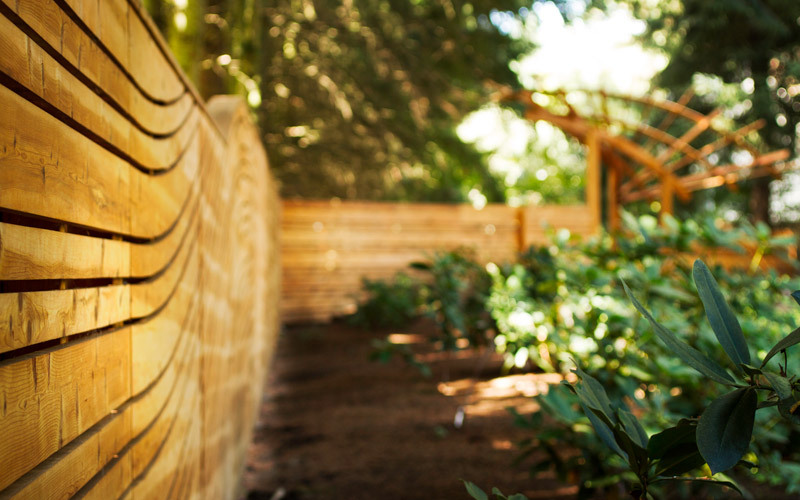 The end result is a visually striking fence which compliments the garden. 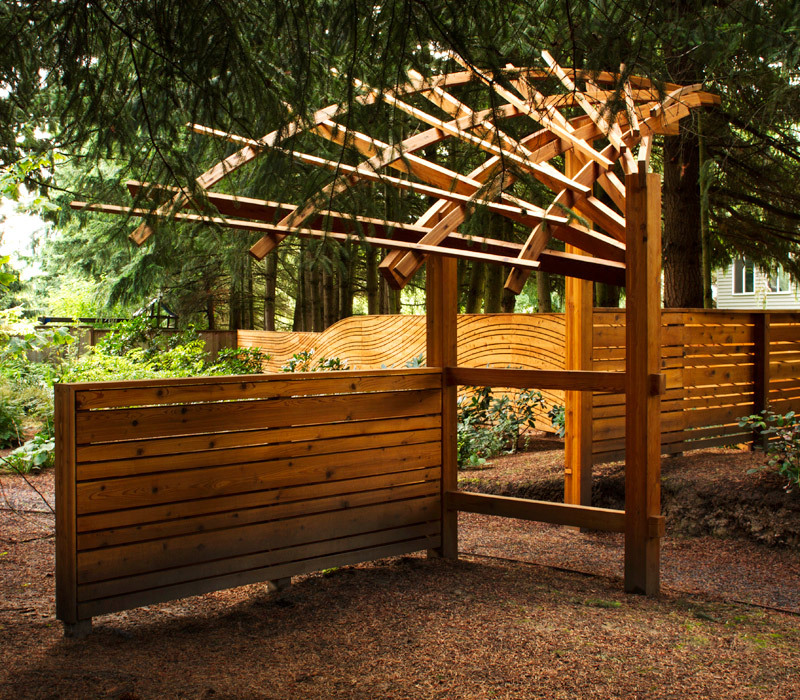 The fence is constructed of western red cedar and finished with an oil penetrating cedar stain. 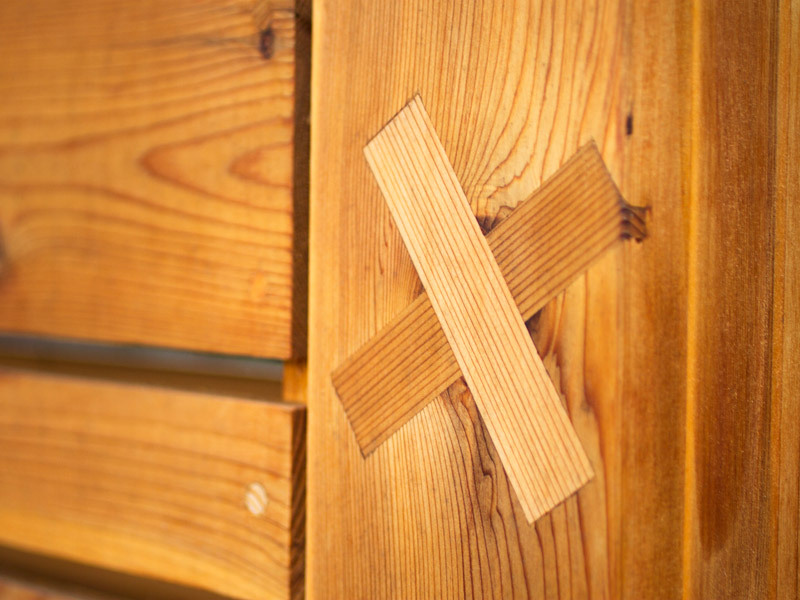 Each curve is fixed to an internal frame and all fasteners were painstakingly filled with matching cedar plugs. 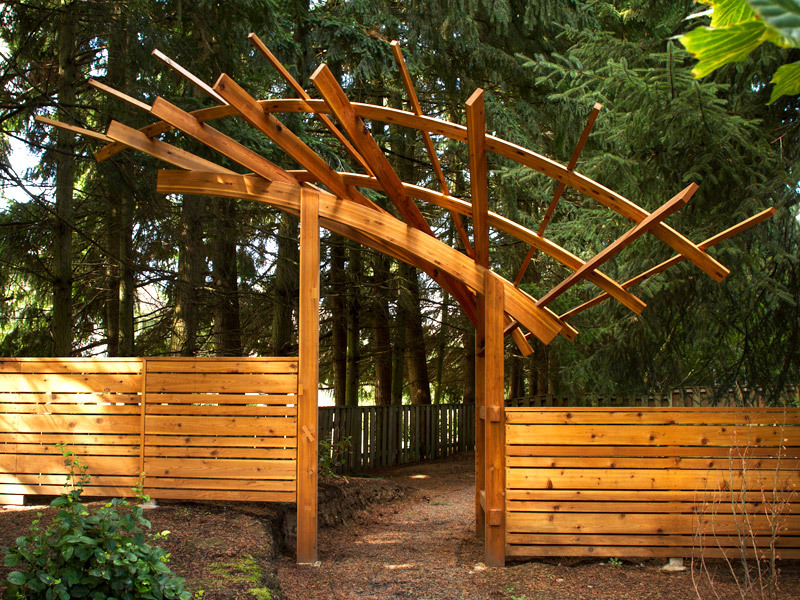 A three post fan arbor adjoins the fence, seamlessly curving at 90 degrees to the end of the wave and acting as a gateway to the garden beyond. 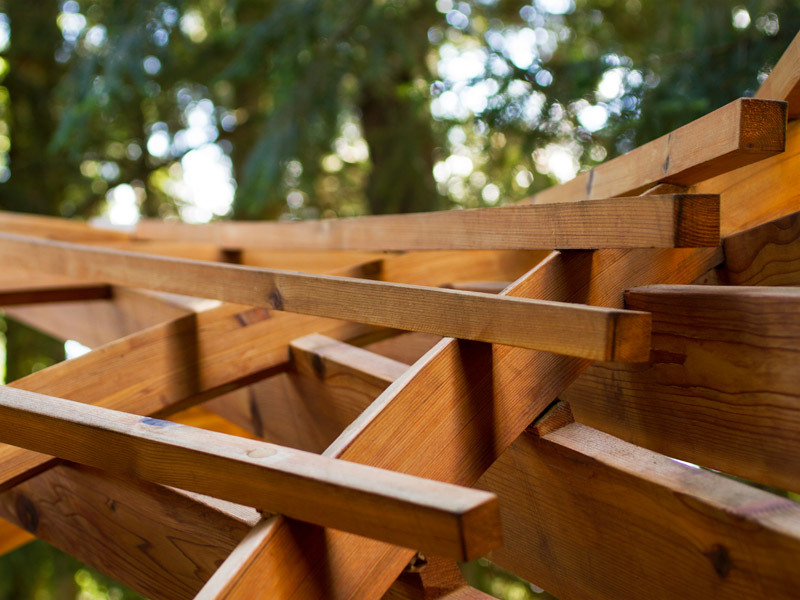 Although an intricate design, the arbor employs classic woodworking techniques and joinery – creating a visually striking and sturdy piece.